If you are going to lounge around and enjoy the weather or the view, make sure you do it comfortably and in style all while keeping your wallet happy. There are so many options available on the market when it comes to beach chairs, so it is worth researching them in terms of price, features and style. Finding a chair perfect for sporting events, lounging in the backyard, watching outdoor concerts, and going camping or to the beach does not have to be a daunting task. Coming from San Diego, Lightspeed Outdoors offers the 2-Pack Lightweight Beach Lounger with Adjustable Back-rest for your comfort and pleasure. Available in two different colors: blue stripes or green stripes. This item is only sold as set of two, so for some buyers the second chair is a waste of money. While it can be used as an alternative, some consumers may not want to have to worry about storing an additional chair and really only want to have one. 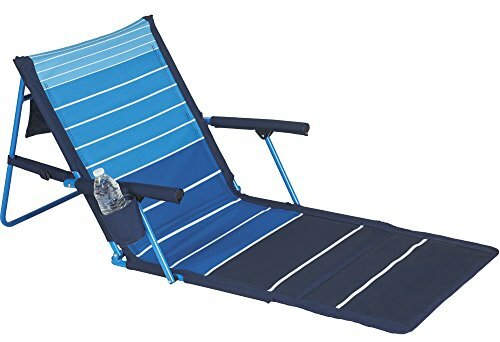 Fortunately, Lightspeed Outdoors also offers the deluxe version of this beach lounger, an ultimate upgraded version with additional cup holder. 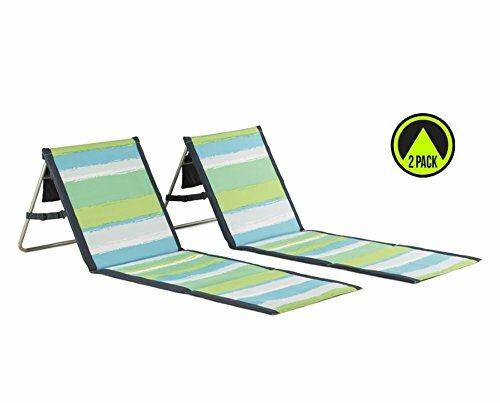 In terms of simplicity and ease of use, the Lightspeed Outdoors 2-Pack Lightweight Beach Lounger with Adjustable Back Rest is a great option. With unique and useful features such as the zippered pouch for your valuables, the easy fold-up technology, and straps for easy travel and affordability, the chair is great for beaches and other outdoor events. Supported by a limited warranty and a highly regarded customer service team, customers can be assured of satisfaction. The lightweight nature of the chair may be cause it to be subject to easy damage, so if you are looking for longevity and durability, other options may fare better. Offered as pack of two can either be ideal or an inconvenience, so personal preferences are going to be the deciding factor.